Smoke at dawn from the Rough Fire after jumping Highway 180 in Kings River Canyon (next watershed north) on Tuesday, August 18th. Currently over 30,000 acres and headed towards Hume Lake. 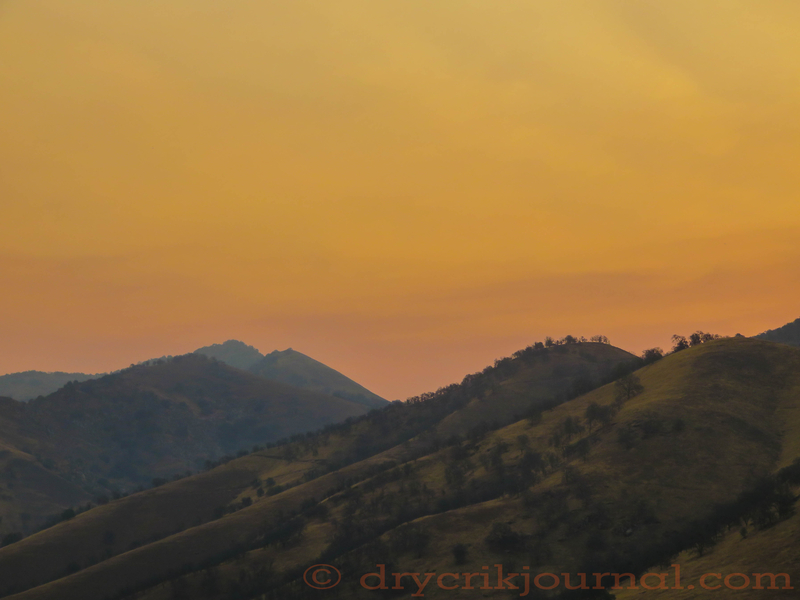 This entry was posted in Photographs, Ranch Journal and tagged Cal Fire, Kings Canyon, Rough Fire. Bookmark the permalink. Fire, like water is a natural resource of nature. To much at a time is not good for us. It will, however, recover/renew in time. I do wish “Mother” would start exercising moderation though. Volatile times of extreme weather don’t calm easily. Preparation makes all the difference, and if it’s not safe for you, it’s not safe for them. The suppression strategy for the Rough Fire will utilize a combination of direct, indirect and point protection.